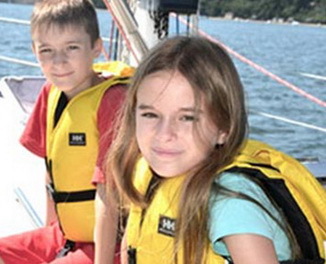 Port Jefferson Harbor’s longest running sailing school for youth, adults and families. 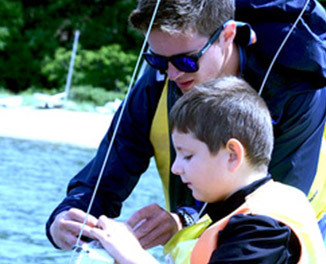 The Port Jefferson Yacht Club has been teaching sailing to young people and adults for over 30 years in Port Jefferson Harbor and Long Island’s North Shore. The success of our programs is best measured by the accomplishments of our graduates. Participants in our programs have gone on to lead college sailing teams, crew in the America’s Cup competition and become professionals in the sailing industry, while others are leaving their mark in Club Racing all over Long Island Sound. Our experienced instructors are certified through U.S. Sailing and many have started their careers in our program. Our classes are tailored to meet the needs of the students appropriately by experience. Young sailors start with the basics of safety and fun before advancing into our racing program. From there students move to our Big Boat Program leading younger sailors into the world of yacht racing, cruising and expedition sailing. Our new 420/FJ Prep College Prep Program prepares young teens for High School Sailing and High School sailors for College Sailing. We now have a 5-day a week program and a new director and developing exciting waterside and summer activities to expand our educational offerings. 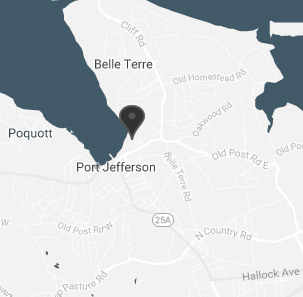 We’re also focused on providing adult and family sailing lessons to get more of our Port Jefferson community out on the water. 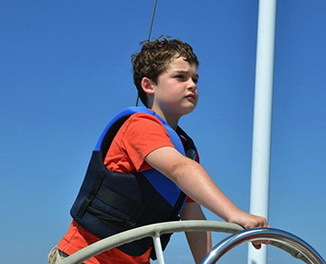 The Port Jefferson Yacht Club has been teaching sailing to young people and adults for over 30 years in Port Jefferson Harbor and Long Island’s North Shore. Young sailors start with the basics of safety and fun before advancing to racing. From there they move to our Big Boat Program, leading sailors into the larger world. Participants in our programs have gone on to lead college sailing teams, crew in the America’s Cup competition and become professionals in the sailing industry. 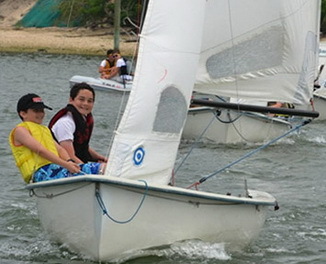 Intermediate and advanced sailors build upon the foundation skills learned in the Optimist Program or from prior experience. For novice, intermediate and advanced sailors, practices are skill-based and dynamic, providing the perfect opportunity to build racing skills and sailing confidence. Sailors are grouped by skill level. Working as a team, sailors learn big-boat sailing skills aboard our Catalina 25. Afternoon practices focus on all skill-levels of boat and sail handling, navigation, anchoring, docking, mooring, teamwork and performance sailing. The program is supplemented by racing opportunities at the PJYC Tuesday night races. Prerequisite: Instructor recommendation. This program is open to Adults 16 years of age and older, or families with children from 8 to 18 years of age. Open to all skill levels, practicing developing skills, as well as seasoned sailors seeking to practice and progress their skills further. This program uses informal group instruction on our Cat 25 where each session is guided by the needs of the participants. Maximum 4 Participants to 1 Instructor. BY APPOINTMENT BEGINNING JUNE 25th. 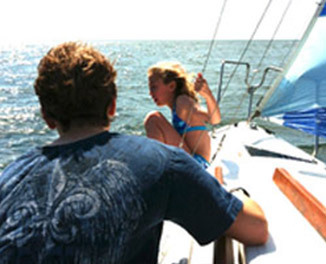 In addition to the above sailing classes, the Port Jefferson Yacht Club also offers private sailing instruction to young sailors as well as adults, with instruction tailored to your specific skill levels and objectives. Whether you are just trying to get comfortable being on the water, or if you are ready to take your sailing to the next level and learn racing tactics, PJYC’s Private Sailing Lessons are right for you. to learn more or reserve your private class now!